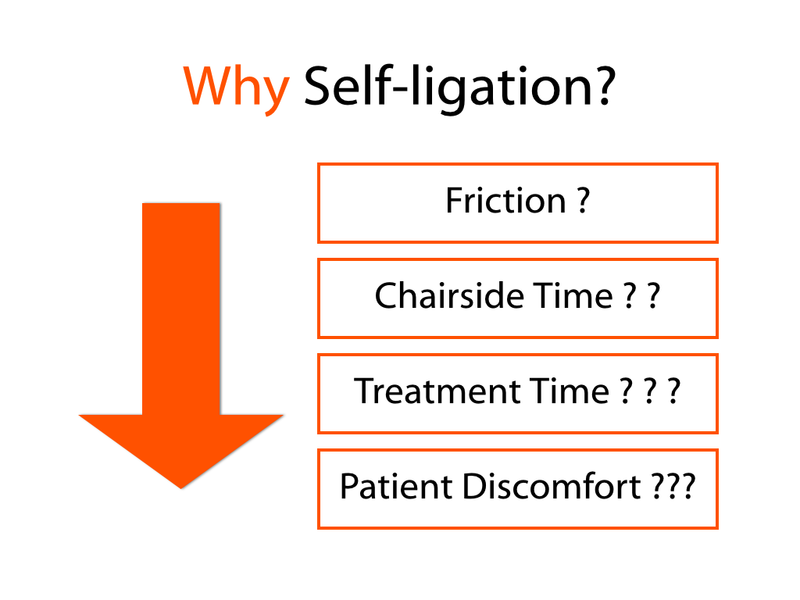 Continuing on the themes of simplicity and efficiency, I would like to talk a little bit today about Orthodontic Self-Ligation, and more specifically about Passive Self-Ligation (PSL). The claimed advantages of much-reduced or “zero” friction and the resulting light forces that can lead to more efficient tooth movement are currently being regularly researched and investigated, and although many of the the proposed effects are not being entirely and consistently corroborated by clear scientific evidence to date, this treatment modality is certainly a very tempting proposition to any orthodontist. As I have mentioned in a previous post, I’ve been trying out various types of self-ligating brackets over the course of 11 years (spanning my career as a specialist). I started out slowly and gradually, trying out different types of SL systems as I went along, however, I had not tried a “true” passive SL system until I decided to use Ormco’s Damon system (specifically the Damon Q bracket system). Although I had previous experience with other SL systems over the years, my research and readings regarding the Damon system and technique led me to think that it required a major paradigm shift in the way I thought about orthodontics in terms of treatment planning and mechanics, and so I took my time reading, researching, and attending lectures and courses surrounding the topic until I felt confident with the appliance and the “new” way of thinking this system required. Dr. Dwight Damon and other Damon advocates have always emphasized the need for accurate bracket bonding from the very start, and often cite it as a major factor in smooth treatment progression and success. “Begin with the End in Mind” is what Dr. Tom Pitts preaches. Taking this a step further, Dr. Damon advocates the use of variable torque prescriptions for anterior teeth right from the very start in order to maximize efficiency and smooth progression of tooth movement, with the basic notion that this helps initiate roots movement into their corrected positions as early as possible and maintains them in these corrected – or over-corrected – positions for as long as possible during treatment, thus improving their chances of post-treatment stability. This torque selection starts at the treatment planning stage and depends on the type of malocclusion being treated, the individual inclinations of specific anterior teeth and the type of mechanics and elastics expected to be used during treatment. Indeed, the most recent Damon Q system comes with High, Standard and Low torque values for individual upper and lower anterior brackets. The choice for each individual tooth should be made at the treatment planning stage, whether using cast study models or computerized digital setups (if using Ormco’s Insignia for even more precise customization). Clinical evidence has shown that this notion is indeed logical and may improve long-term chances of stability, provided that the required torque prescription is actually fully expressed by the end of treatment. In practice, I have personally discovered that, more often than not, I still do need to introduce torque manually through the archwire even with variable torque selection at the start, and this may be due to issues with full archwire engagement failing to fully express built-in torque values towards the later stages of treatment, as expressed by many practitioners of self-ligating systems. My personal preference these days is to use standard torque values in most cases and introduce individual tooth or segment torque as needed, and I find that this preference has not reduced the quality of the results in my own clinical experience, but rather reduced the time I needed at the treatment planning stage which was dedicated to torque selection. Again, this is only a personal opinion and I still do opt for variable torque selection in many cases. The second “pillar” is directly related to the occlusion and interdigitation of the dentition. In order to facilitate tooth movement using the very light forces of the initial aligning phase with PSL, it is recommended to “dis-articulate” the occlusion in order to minimize interdigitation that could hinder or delay tooth alignment. This “Bite Raising” is usually performed either on the palatal aspects of upper (Class II cases) or lower (Class III cases with reverse over jet) anterior teeth in Low Angle, deep bite cases. This helps in holding/intruding the anterior teeth and maximizing extrusion of posterior teeth thus aiding in correcting the occlusion. In High Angle, reduced overbite or Open Bite cases, the bite raising should be positioned on the occlusal surfaces of posterior teeth, as needed, as this helps prevent or minimize further extrusion during alignment. Although many long time Damon practitioners have demonstrated that it is entirely possible to achieve excellent results without dis-articulation in every single case, my personal experience has shown that dis-articulation right from the beginning is a more efficient way of operating as one would often end up performing this bite raising at later stages on many occasions, especially in the presence of cross-bites, if it is not done from the very start. One of the most intriguing – and indeed, anxiety-ridden – shifts from traditional orthodontic mechanics and thinking that I had personally faced was the advocated use of early elastics right from the first visit with light, round, flexible Nickel Titanium archwires in place! Conventional wisdom and teaching with pre-adjusted appliance treatment mechanics was built on the idea that elastics are used towards the later stages of treatment once heavier, more rigid archwires are reached, as using them early on when very light NiTi wires are in place would produce all kinds of unwanted tooth movements, rotations and overall occlusal imbalances. Once that rather huge “mind block” was overcome, this single “pillar” alone would prove to be the defining “strong point” for my decision to continue my use of PSL. 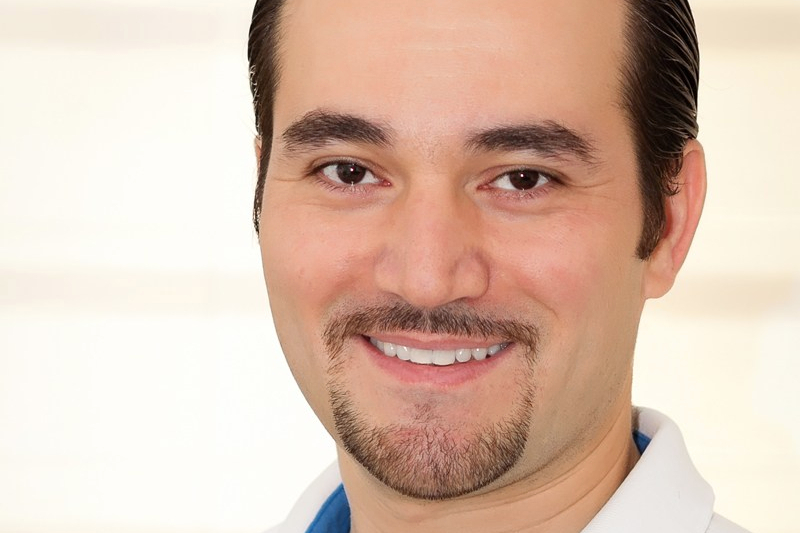 Valuable and unique research done by Dr Hisham Badawi in Canada has shown the effect of force distribution on different teeth along the dental arch using PSL and conventional bracket systems. In PSL systems, the effects of a certain local force does not extend beyond a couple of teeth either side of the location of application, and even then, the effects were minimal. In contrast, the force distribution in conventional appliances had a more far-reaching effect all the way to teeth on the opposing side of the arch, hence, the unwanted tooth movements due to any force application were at a maximum most of the time. This notion, when extended to the use of early light elastics, helps explain how the use of such light forces even as early as the first visit and on flexible Niti archwires does not – in general – have a detrimental effect on the rest of the arch. 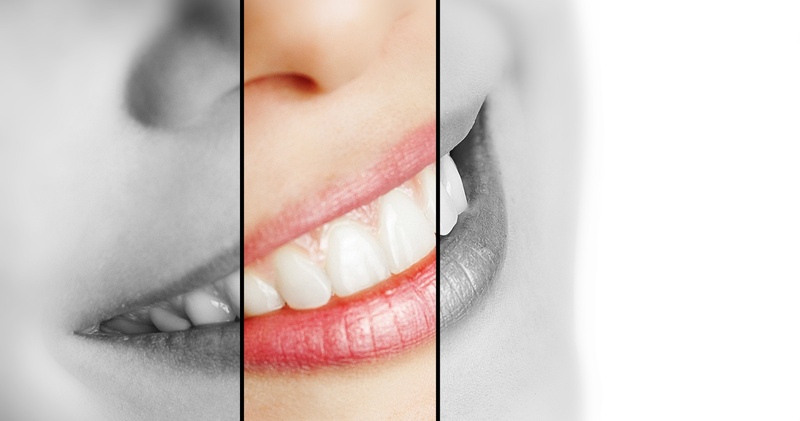 On the contrary, the light forces seem to gently help in guiding the involved teeth as they level and align, without overpowering the surrounding musculature to any measurable extent. 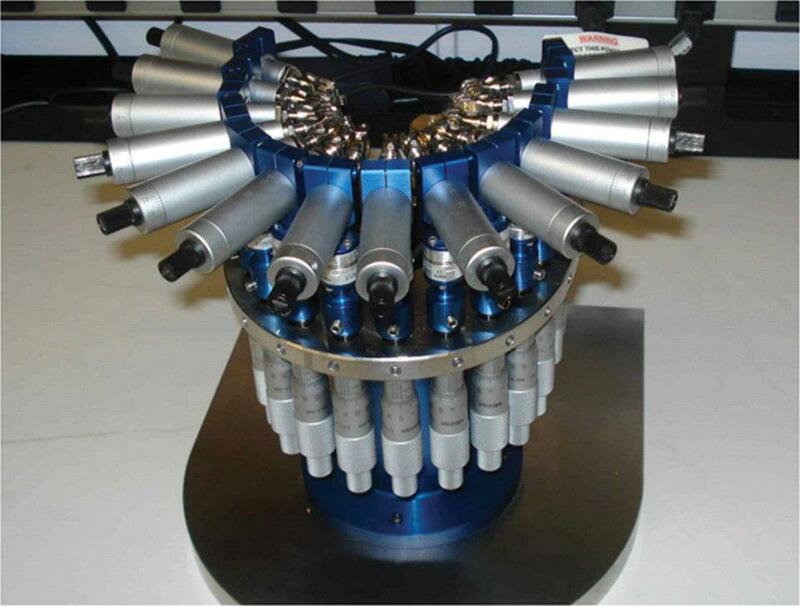 The laboratory-based human mouth model with 14 high-sensitivity transducers used in the study by Badawi et al, 2009. 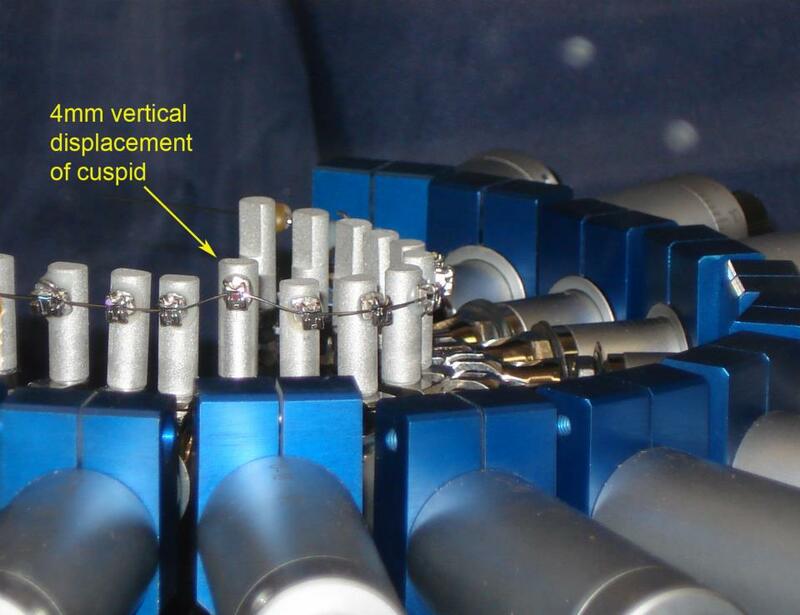 A Close-up of the laboratory-based human mouth model with 14 high-sensitivity transducers used in the study by Badawi et al, 2009. At first, I was very skeptical of such claims, however as my cases increased in number and seeing the smooth progression clinically, It seems there is a very reasonable clinical validity to such claims. The only issue I faced at the aligning phase was the incomplete – or delayed – correction of rotations which is most probably due to the increased “play” between the small initial archwires and the 0.022” slot of the Damon Q bracket, where full engagement against the slot base was non-existent due to the nature of the locking mechanism’s “passive” construction. Full rotational correction does not actually occur until later in treatment when – at least – an (0.018×0.25) rectangular archwire is in place. This probably explains the findings of this study – and a few others – that have shown no measurable statistical difference in alignment speeds between self-ligating appliances in general and conventional appliance. In fact, some studies noted that alignment was actually faster with conventional appliances in many instances. This also lends credibility to my thinking mentioned above that torque expression will not really begin unless full rotational correction has been achieved anyway, thus the idea of variable torque selection at the beginning looses part of its argument strength, although not entirely. 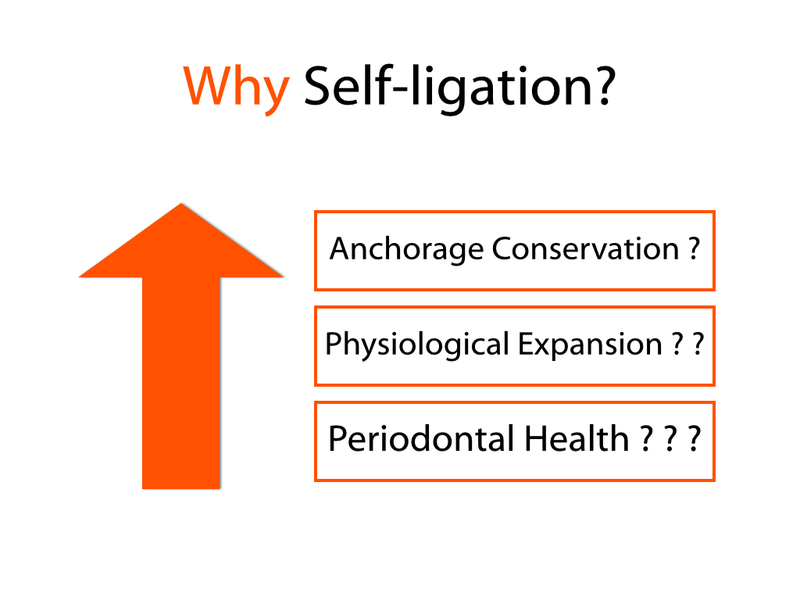 A highly recommended review article about Self-ligation in Orthodontics. Overall, my personal experience with PSL, specifically the Damon Q system is a satisfying one so far (I stress the words personal experience because it is not all based on clear-cut scientific evidence to date). 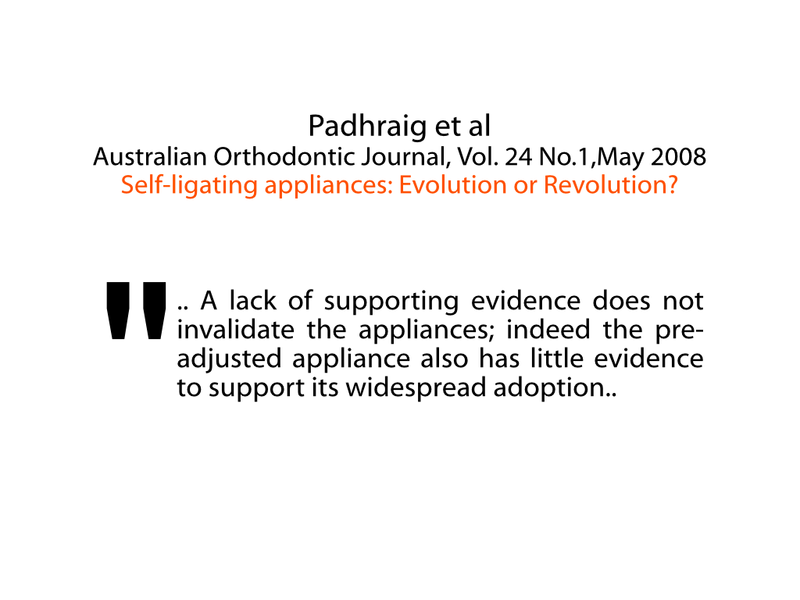 It is true that further clear evidence is needed to backup many of the claims related to such appliances, as this review by Padhraig and O’Brien comprehensively investigated. However, clinical experience is clearly showing the potential in overcoming many of conventionally-ligated fixed appliances’ issues we’ve had for decades now. Considering we still lack solid evidence for many aspects of even our current conventional fixed appliance treatment modalities, I personally feel it is a bit harsh to hastily condemn Self-Ligation as a “fluke” or ” yet another marketing gimmick” simply from the findings of currently available research, although indeed, the marketing approach for many such systems can only be described as Over-the-top Hype often directly aimed at consumers, rather than orthodontic professionals. My general feeling is that our minds and way of thinking have been locked for too long in a certain “mould” surrounding conventional fixed appliances, and I believe that in order for the research to be able to accurately determine the Cons and Pros of Self-ligation, we need a “Paradigm Shift” in the way we approach future research in the first place, as old ways of thinking and solving problems may not always be suitable to properly judge newer ways. Until then, an open eye and an open mind are key. Next ›Active versus Passive Self-Ligation? : Control versus Low-Friciton? I completely agree with this article and I have a very similar experience with Passive self ligation using the Damon philosophy. If I may add that Early torque and Early elastics from day one have the extra great advantage of avoiding side effects and making treatments much more straight forward with less round tripping. Meaning there is no need any more to convert a class II/2 to a class II/1 before it corrects into a class I. There is no need to dump the upper incisors in class II correction then add torque to upright them. If you use the 3 pillars that Shadi mentioned correctly, the whole orthodontic experience will be different and more straight forward. But like Shadi said, go in with an open mind! Thanks Yaz for your valuable contribution to this discussion.